We are already into our second week of January. Have you remained strong to your New Years resolutions? Or have you fallen off of the wagon? 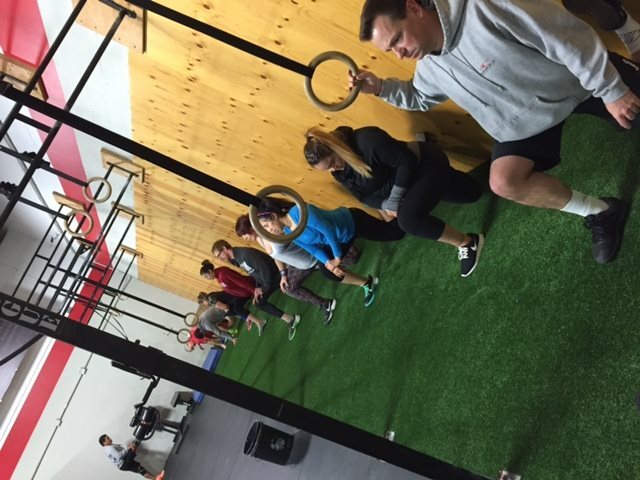 Whether your still in line with your resolutions, or goals, or if you have wavered a bit, you have a strong support system within the community of CrossFit Watsonville to help you reach your goals. Even if they are not gym related. There have been numerous studies showing that the buddy system helps raise our chances of success in meeting our goals! Talk to people, tell them your goals. This way you will feel more accountable and stay on track! Cheers to continuing to meet our 2016 goals! Tried my best to get the full 5:30pm class getting their mobility on!